This is a verbatim reproduction of the original 1946 edition of Autobiography of a Yogi, complete with the original photos and original text. Extreme care was taken in this new online version, created in 2009, to create the most accurate reprint of this book ever published. Other editions of this book, made after the author’s death in 1952, have sold over a million copies worldwide. However, they contain numerous revisions, some of which substantially change the meaning of the original text. The few thousand of the original printings, however, have long since disappeared into the hands of collectors. Through this online version, Yogananda’s spiritual classic is freely available to seekers throughout the world. Ananda first prepared the first online edition of Autobiography of a Yogi in 1998. With this new edition, we have made an effort to capture, within the limitations of the web, the greatest possible feel of reading the original book. illustrations can be clicked to reveal a more detailed view. intentionally retained from the original. rendering, Safari or Firefox 3.5 are recommended. precisely match the photo plates in the original book. A single flowing view now includes the entire book, making it easier to move between chapters or Save for offline reading away from an Internet connection. The Crystal Clarity reprint of the 1946 edition also includes a Foreword by Swami Kriyananda, a “bonus chapter” from the 1951 edition (the last edited personally by Paramhansa Yogananda before his passing), a detailed index, and reprints of the dust jacket (cover and inside flaps). In the printed book, footnotes appear as in the original, at the bottom of each page, and use symbolic references for footnote calls instead of the numbers and end-of-chapter placement used in the online edition. Footnotes also appear in a size more appropriate to a print edition, as compared to the larger size used in the Web edition to maximize online readability. 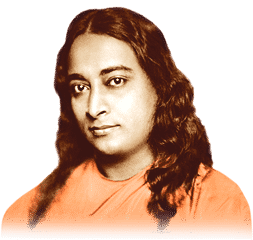 Paramhansa Yogananda was the first yoga master of India whose mission it was to permanently live and teach in the West. In the 1920’s, as he criss-crossed the United States on what he called his “spiritual campaigns,” his enthusiastic audiences filled the largest halls in America. His initial impact was truly impressive. But his lasting influence is greater still. This single volume, Autobiography of a Yogi, first published in 1946, helped launch, and continues to inspire, a spiritual revolution in the West. Only rarely does a sage of Paramhansa Yogananda’s stature write a firsthand account of his life experiences. Childhood revelations, his visits to saints and masters of India, the years of training he received in the ashram of his guru, and long-secret teachings of Self- Realization are all made available to the Western reader. Followers of many religious traditions have come to recognize Autobiography of a Yogi as a masterpiece of spiritual literature. Yet for all its depth, it is full of gentle humor, lively stories, and practical common sense. This online edition is identical to the text of the first edition, published in 1946, by Philosophical Library in New York City. This volume also contains reproductions of the photographs from the original edition. 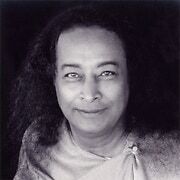 Although Yogananda himself participated in preparing both the second and third editions of the Autobiography of a Yogi, correcting spelling and grammatical errors and addressing questions raised by his readers, there is a unique power to the original that we feel is particularly worth preserving. In order to be faithful to the original edition, we have not corrected errors of spelling, grammar, or punctuation. Editions past the third have been prepared since the author’s passing in 1952. In 1953, Self-Realization Fellowship, the organization founded by Paramhansa Yogananda in Los Angeles, California, acquired the rights to Autobiography of a Yogi from Philosophical Library; it has been the publisher of all subsequent editions, until the reprint of the first edition by Crystal Clarity Publishers in 1993. 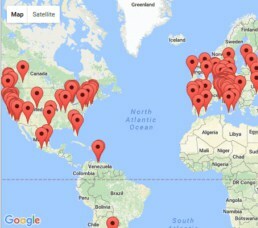 Crystal Clarity, Publishers, is the publishing house of Ananda Church of Self-Realization. Ananda, dedicated to the dissemination of the teachings of Paramhansa Yogananda, was founded in 1968 by one of Yogananda’s direct disciples, J. Donald Walters (Kriyananda). If you find this book inspiring and would like to learn more of the life and teachings of Paramhansa Yogananda, visit the Crystal Clarity website, or call Crystal Clarity at 1-800-424-1055.
Who owns the copyright on Autobiography of a Yogi? The first edition is in the public domain. Why do you spell Paramhansa Yogananda’s name differently than most people? 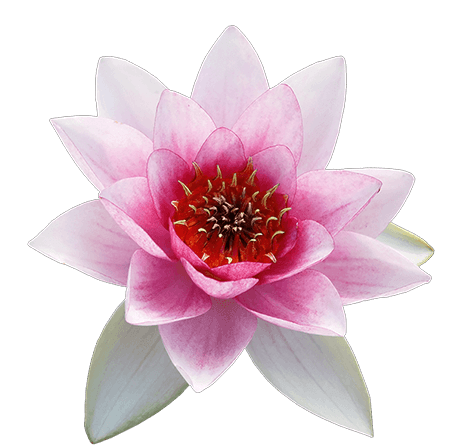 We’ve chosen to honor the way Yogananda himself wrote his name. Some years after his passing, editors decided to change the spelling of his name by adding an extra a, turning it into Paramahansa. According to some pundits in India, the extra a makes the spelling a proper translation from the original Sanskrit. Other noted Sanskrit scholars say the way Yogananda wrote his name is the correct way. Ananda chooses to respect the way that Sri Yukteswar (who gave Yogananda the title Paramhansa) and Yogananda spelled it. You can see Yogananda’s original signature in the first edition, reproduced on the frontispiece, just as he wrote it. How much has been changed in later editions? Yogananda made a few changes leading up to the third edition. Later editors made changes numbering in the hundreds after Yogananda’s passing.